I have the privilege of leading a national ministry that’s intimately connected to the heart of God. 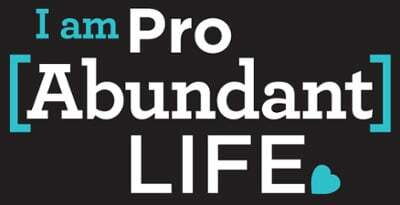 In short, my job is to promote the use of a ministry tool called Making Life Disciples (MLD) that’s designed to equip a select group of individuals in a local church to offer compassion, hope, and help to women and men facing pregnancy decisions. We work hard every day to implement the vision of this resource in 1,000 churches by the end of 2020. I want to give you a feel of what I’m starting to see God do nationally. “I am writing to let you know that we have successfully introduced Making Life Disciples to 38 pastors in our community! Of those 38, we have 8 that have taken the challenge to train a group of Life Disciples in their respective churches!In three weeks, I will visit the graduates of those classes to begin a stronger relationship with them so we can begin to introduce our clients to them for mentoring and discipleship. The effort has taken almost a year; however, we believe we will begin to see the fruit of our labor and it will last a lifetime! We were caught in the web of trying to “be” the church [in its mission to make disciples], when we recognized the true calling for our center was to reach the abortion minded/abortion vulnerable…” [as domestic missionaries with a specialized focus]. This young woman… had an appointment for an abortion scheduled for next week, when she first came to us. During that appointment, she told our R.N. that she literally had nobody to help her during this difficult time. Marla, our R.N., knew immediately that we did have someone who could come alongside her! The call was made and they have connected! The abortion appointment has been cancelled, however, as we know a baby is not safe until it is born! Please feel free to share this to encourage others! The ministry I’ve been called to—ministry to the abortion-vulnerable—is very challenging: it is private and hidden; further, it has been politicized and disconnected from the gospel, discipleship, and grace. If things are going to change, the church must lead. May God give us all more confidence in his sovereign grace, and may the account above refresh your spirit and strengthen your faith! Iain Murray, The Life of Arthur W. Pink (Banner of Truth) 46. “He” has been changed to “she” in two places to go with the picture.